It’s hard to know exactly what’s what at this place. 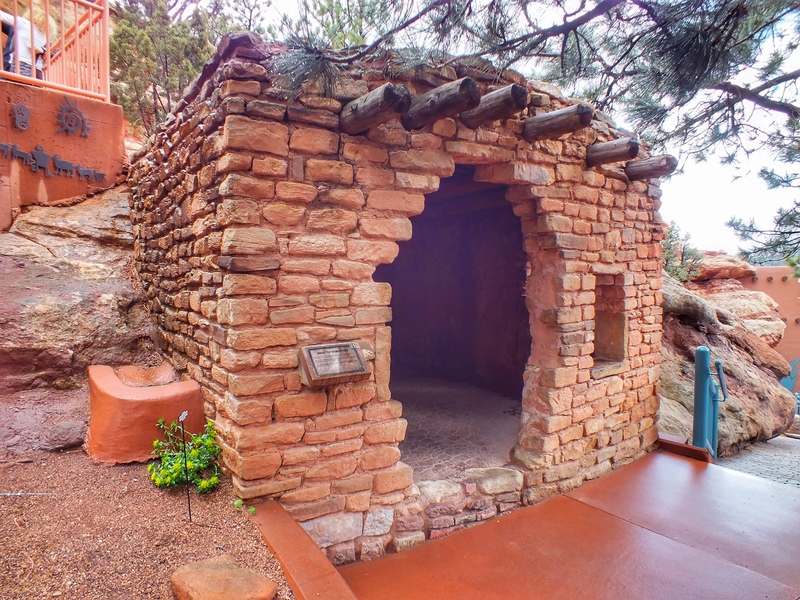 The cliff dwelling isn’t an original, but the story goes that much of the material was scrounged from actual cliff dwelling ruins elsewhere in the state. 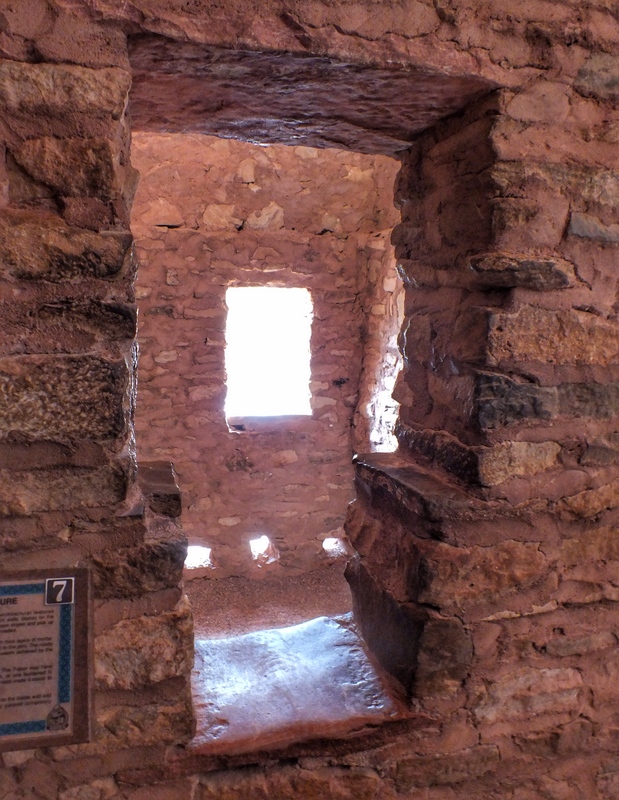 The bricks were brought here and assembled to look like a representational cliff dwelling. It’s all held together by cement. I was surprised to discover that some of the structure was built in 1898 and that it’s been a tourist spot since 1907. 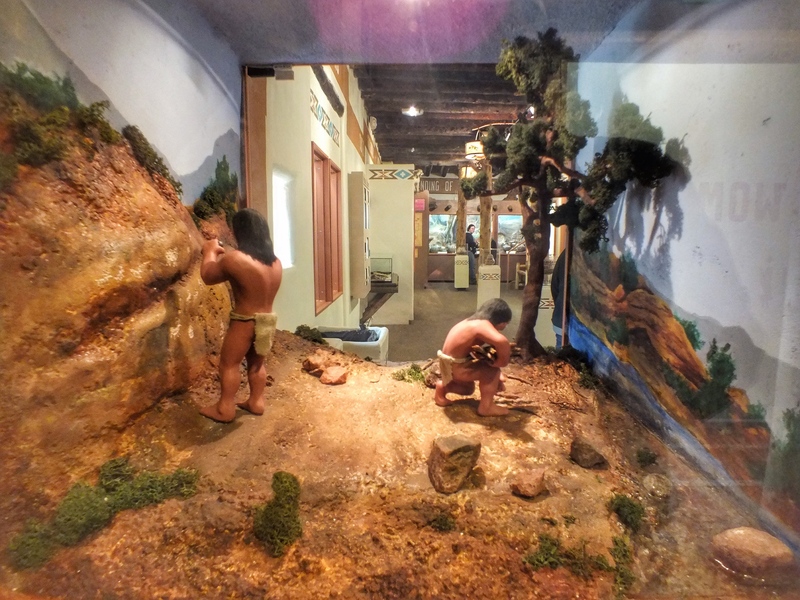 Until 1984, Indians lived in it, or at least pretended to. Here’s a view into someone’s home. One thing I learned. 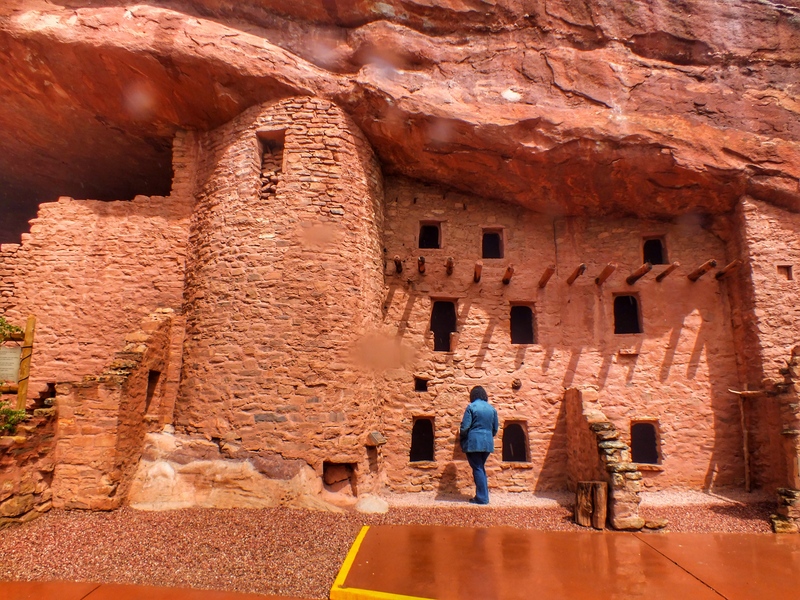 The dwellings were built under overhanging cliffs, but they weren’t attached to the rock. 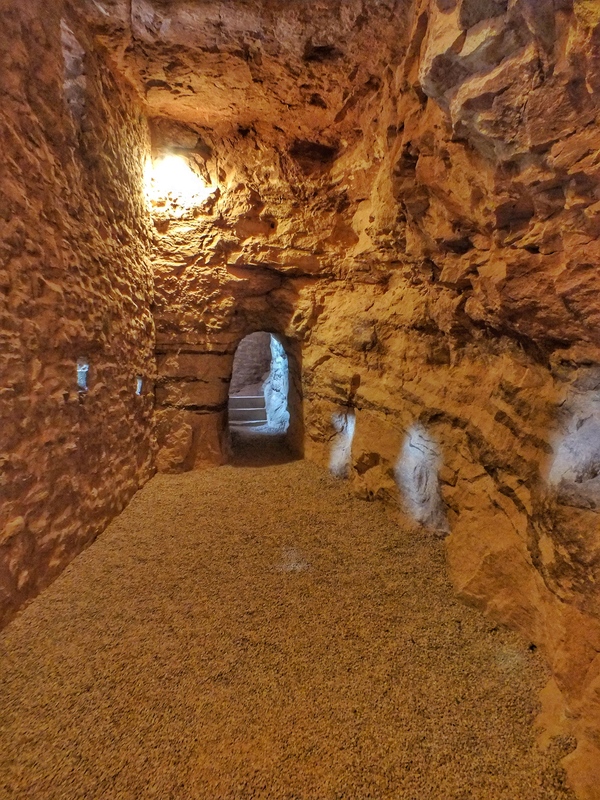 I always figured the back wall was the hill, but there is a space between the back walls and the rock where stuff was stored or tossed and where bodies were kept until they mummified, which in the dry air didn’t take long. This is a cliff-top hut used as a lookout post. 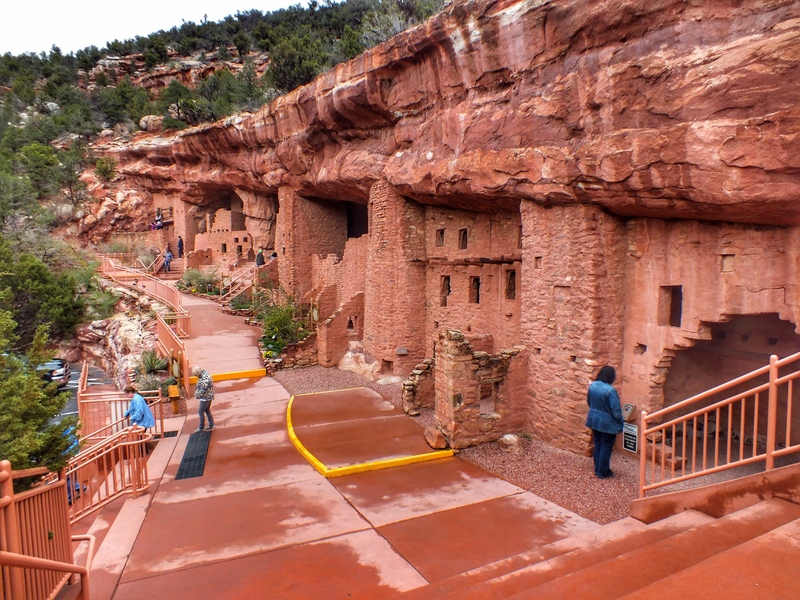 There was also a pueblo built to resemble the structures the Indians built after they gave up cliff dwelling. 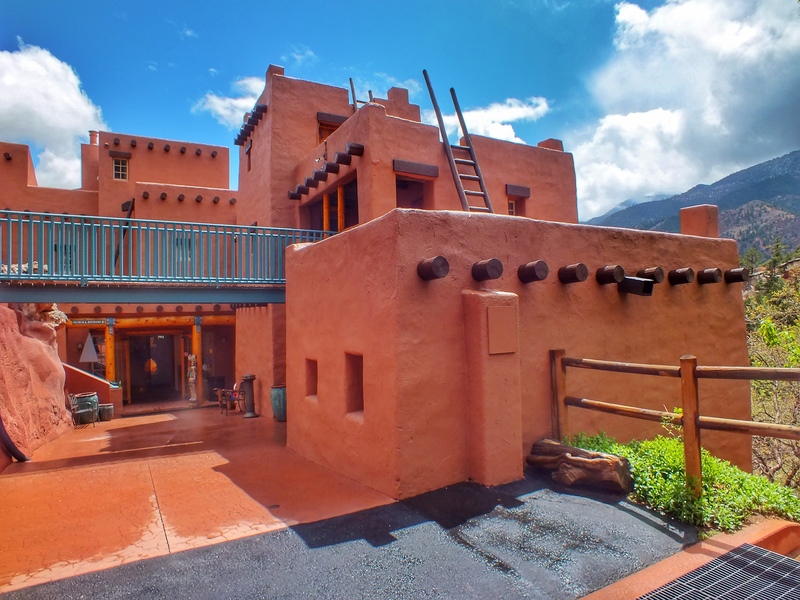 The pueblo was built in 1898, I believe. The inside was 20% museum and 80% gift shop. I wasn’t even sure if the artifacts in the museum were authentic. 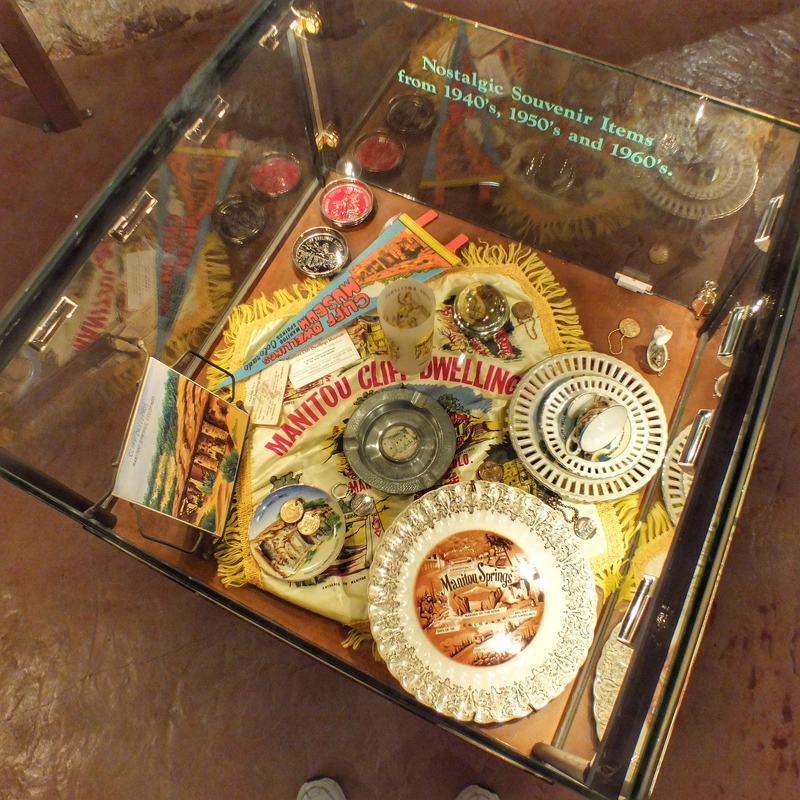 There were also displays on the history of the site as a tourist attraction. 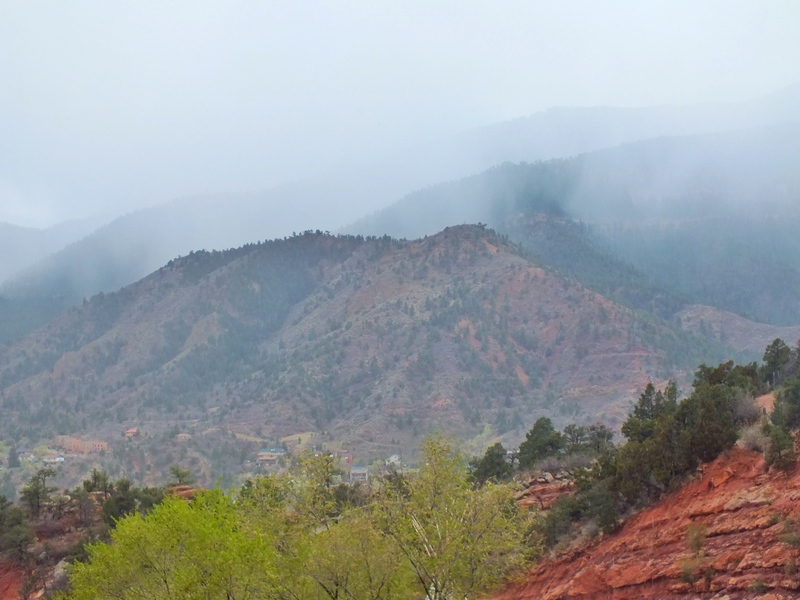 It rained off an on while we were there, and the view of the mountains across Ute Pass was a lot more beautiful than this photo makes it look. I went because I’m doing posts on the attractions in the area. But because we didn’t have high expectations, it was actually fairly enjoyable. Having said that, I don’t need to go back again. This entry was posted in Interesting Buildings. Bookmark the permalink.